'Americans': The Book That Changed Photography In 1959, Robert Frank's The Americans dramatically altered how photographers looked through viewfinders and how Americans saw themselves. 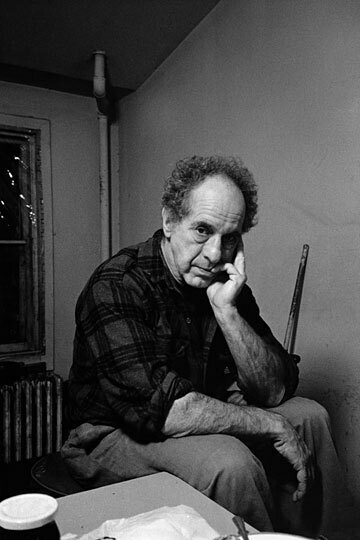 Robert Frank in his studio in Manhattan in 1988. Read a review of the new "Expanded Edition." There are few single works of art that have changed the direction of their medium. In 1959, one book dramatically altered how photographers looked through their viewfinders and the way Americans saw themselves. The Americans was the work of Swiss-born photographer Robert Frank, and the National Gallery of Art is celebrating the 50th anniversary of the book's American debut with an exhibition. Curator Sarah Greenough says The Americans was actually reviled when it was first published in the United States. "Popular Photography asked a number of writers to critique the book and almost all of them were very negative," Greenough says. "It was described as a sad poem by a very sick person." 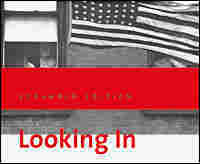 The Americans showed a different America than the wholesome, nonconfrontational photo essays offered in some popular magazines. Frank's subjects weren't necessarily living the American dream of the 1950s: They were factory workers in Detroit, transvestites in New York, black passengers on a segregated trolley in New Orleans. Frank didn't even get much support from the art world, he recalls. "The Museum of Modern Art wouldn't even sell the book," Frank says. "But the younger people caught on." "I'd never seen anything like it," photographer Ed Ruscha says. 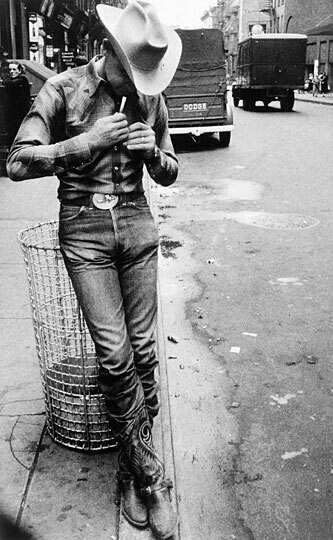 "Robert Frank came out here and he just showed that you could see the USA until you spit blood." Joel Meyerowitz, a pioneer of color photography, was also inspired. "It was the vision that emanated from the book that led not only me, but my whole generation of photographers out into the American landscape in a sense — the lunatic sublime of America," he says. Robert Frank came to New York in 1947. 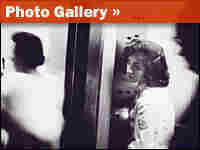 Born in Zurich in 1924 and trained in photography, he was eager to escape his father's radio-importing business. On his first day in New York, his sponsor took him to get a bite to eat. "We sat down — it was a table for two," Frank recalls. "The waiter came and he just threw the knives and the forks on the table. It absolutely impressed me. I said, 'Boy, this is something!'" Frank honed his skills working as a commercial photographer. He disliked the work, but it was a way to make a living. Meyerowitz met him on one of these jobs. At the time, Meyerowitz was the art director at a small advertising agency and didn't even own a camera. He was sent to watch Frank shoot photos for a booklet Meyerowitz was to design. "It was such a magical experience watching him twisting and turning, bobbing, weaving," Meyerowitz remembers. "Every time I heard his Leica go click, I would see the moment freeze in front of Robert." Meyerowitz returned to the office, walked up to his boss and quit his job. "And he said, 'What do you mean you're quitting?'" Meyerowitz recalls. "I said, 'I saw this guy take photographs. I want to be a photographer. I want to go out in the street and take photographs of life.'" Frank spent his time off wandering New York and photographing what he found. "Like a boxer trains for a fight," Frank says, a photographer needs to practice by getting out and taking pictures every day. "It doesn't matter how many he takes or if he takes any at all. It gets you prepared to know what you should take pictures of or what is the right thing to do and when." Frank's noncommercial work started to get noticed. In 1954, he applied for a Guggenheim fellowship proposing to create an "observation and record of what one naturalized American finds to see in the United States." Photographic legends Walker Evans and Edward Steichen wrote references. Frank got the grant, bought a used Ford and headed out. He set off in June 1955. His first stops were in Pennsylvania and Ohio, then Michigan, where he was allowed to photograph inside Ford's River Rouge plant in Dearborn. "It was so hot and the noise and the machines. And then the workers would see me and for some reason they all started to scream. [It was] just a release," Frank laughs. His photograph of the factory is a grainy blur: two lines of men at work, blacks and whites side-by-side and facing each other across the assembly line that runs up the middle of the picture. There were some hairy moments. In Arkansas, Frank was stopped by state police "for no other reason than that he was a foreign-looking person driving an older car," Greenough says. "When the police stopped him, he didn't speak with a good southern accent." He was jailed and interrogated for several hours. "He described it as one of the most terrifying experiences of his trip," she says. Frank was a foreigner with a bunch of cameras at the height of the Cold War. Police thought he was a spy. In a way, he was. During his trip, Frank shot 767 rolls of film yielding about 27,000 images. He edited that down to about 1,000 work prints, spread them across the floor of his studio and tacked them to the walls for a final edit. Out of a year and a half of work, Frank chose just 83 images. Frank doesn't like to go back and analyze them. But he will talk about one of his favorites, a private moment on a hill in San Francisco. At the top of the frame is a broad gray sky; below are the city's hills and houses in stark white. In the foreground, sitting on a hill overlooking the scene, is a couple, the man turned to the camera with an angry scowl on his face. The invisible photographer had been caught. "All I could do is just stand there with my camera and just keep photographing, but a little bit away from him so he could think and accept that maybe I photographed the panorama of the city," Frank remembers. "Those are the difficult moments every photographer has to get over and get away with it and not be discouraged," he says. "Because if one is sensitive, it has an effect on you. So maybe it's better not to be sensitive as a photographer and just go on. Many photographers today have that but I never had that. I think it's nice to be sensitive as a photographer and maybe it's harder." Frank rarely spoke to his subjects; he chose to point, shoot and move along. His pictures, however, eventually struck an emotional chord. The Americans became a hit as the '50s gave way to the '60s. Americans began to see his photographs as relevant — even prescient. But by then, Frank had already moved on. The year The Americans came out, he set aside still photography and made his first film.